I enjoyed four days visiting my brother and his family in Lake in the Hills, IL and decided to head north through Wisconsin towards the Upper Peninsula of Michigan. 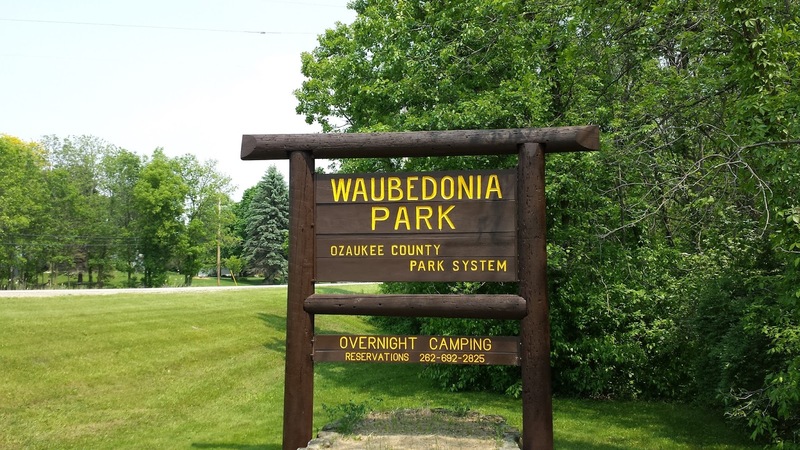 About 25 miles north of Milwaukee is the tiny town of Fredonia, WI that offers camping in Waubedonia Park, the town's park. 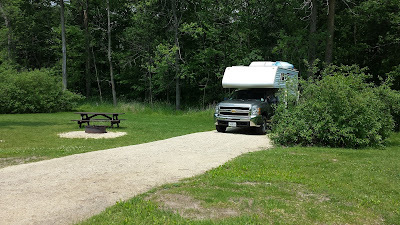 There are only about eight RV sites along with four or five tent camping sites so its a rather small campground and the sites are rented on a first come first served basis but there was only one other RV and a single tent campsite there when I pulled in. There is no host or attendant so you pay the $11 dollar per night fee by filling out an envelope with the site number and placing your cash into the envelope and depositing it into a steel mailbox on the center of the park. Curiously the nightly rate jumps up to $20 if you require a water hookup in addition to the electric hookup....I went electric only. 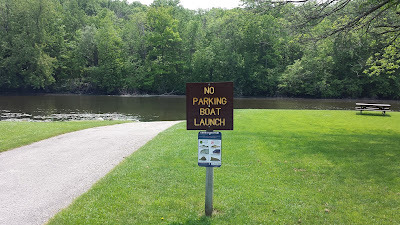 The boat launch into the Milwaukee River that runs through the park. Hookups: 20, 30 amp. A couple sites have water too. Being new to the park, I hooked the Tank's 30 amp power cord into the campsite electrical hookup and......nothing! I took my electric coffee grinder to all the available sites and plugged in and...nothing?? The one other RV'er helpfully popped his head out of his door after observing my fruitless search and advised that I had to call the number on the steel envelope box to have a park employee turn on the electricity at my site, which I did and a friendly city employee drove by about 15 minutes later and verified I now had power. He said they operated the hookups that way to dissuade teenagers from partying at the park. 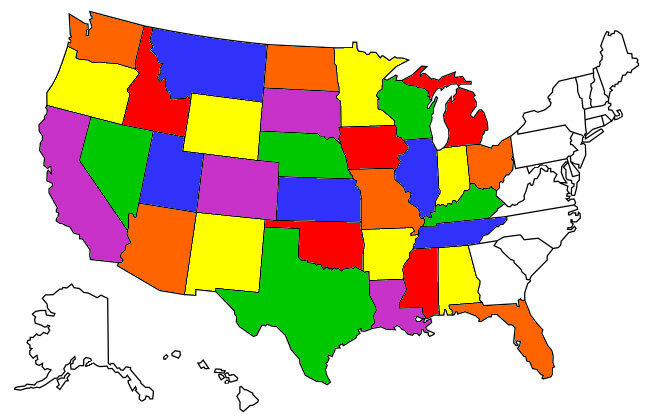 So you're forewarned about the park hookups. 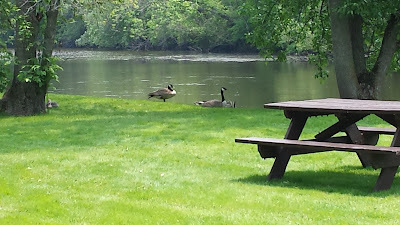 Geese like the park's access to the Milwaukee River too. The campsites are fairly spacious and mine had bushes on both sides that screened me from the other campsites. Waubedonia Park is almost perfectly quiet and is really well maintained, with a city groundskeeper on site both days of my stay. For $11 a night, electric hookups included, it represents an excellent camping value. Despite the quirky electric hookup policy I definitely place the park on my "Will Revisit" list.